Bacardi, the world’s largest privately-held spirits company manufacturing over 200 brands and labels, has a more than 155-year history of quality, excellence, ethics and social involvement. For Bacardi, sustainability is a business approach that stems back to its founder himself, Don Facundo Bacardí Massó. In 1862, Don Facundo bought his first distillery from a whisky distiller in Santiago de Cuba which came with a number of used whisky barrels. Instead of throwing the barrels away, Don Facundo repurposed them to age his rum. To this day, Bacardi has continued its commitment to protect and preserve the environment, by spearheading initiatives in all dimensions of its business to ensure that they are acting today in the best interest of tomorrow. Good Spirited is the Bacardi global sustainability initiative striving to achieve a zero environmental impact within key focus areas in responsible sourcing, packaging and operations. 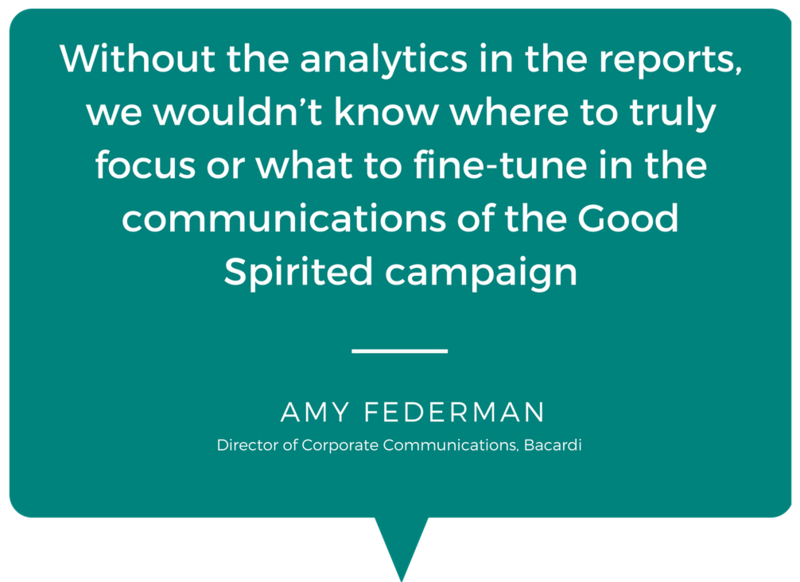 Bacardi has changed its approach to its CSR-related communications and PR following the success of its global sustainability initiative, Good Spirited. Using measurement and analytics from Cision, the Good Spirited team put its comms focus on the initiative’s softer activities and produced better results with more media opportunities. Through Good Spirited, the family-owned spirits company raised both internal - involving the business’ nearly 5,500 employees - and external awareness of Bacardi’s CSR commitments. At a minimum, the company aims to put back as much as is taken out of the environment. To do this, the business committed to and promoted a range of initiatives such as eliminating the use of straws (#NoStraws) in all cocktails at in-house corporate events and its brand visitor centers. Bacardi also built bat caves to help protect real bats at the company’s rum-bottling facility campus in Jacksonville, Florida. Bacardi needed to set clear objectives taking into account different markets, the various products and labels represented in the full Bacardi portfolio and the diverse demographics and level of awareness of its audiences. Bacardi’s communications strategies for Good Spirited aim to build and leverage relationships with third-party advocates and independent organizations to validate the strength of sustainability initiative objectives. Importantly, communications are supported by an effective measurement program. Good Spirited harnesses the power of nearly 5,500 employees through internal programs focused on local communities, brands and the workplace. In addition to this, Good Spirited engages media with targeted storylines to relay the sustainability initiatives in the platform. 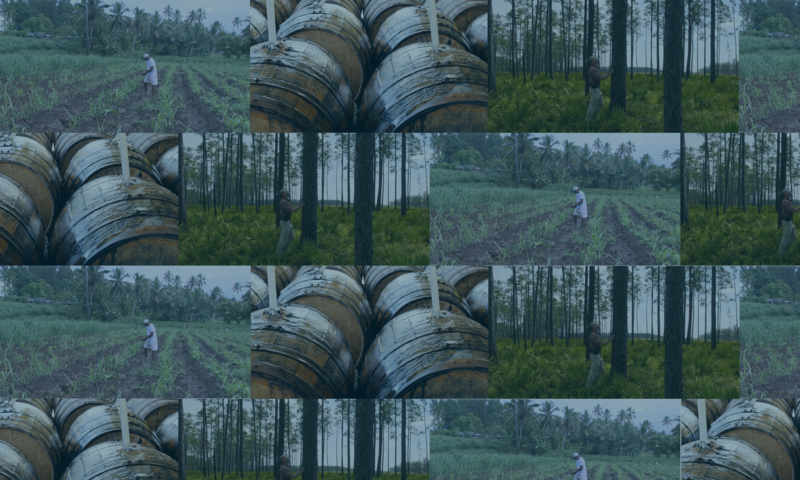 Finally, Good Spirited establishes a robust online presence to reach audiences, using rich multimedia to bring the Bacardi sustainability story to life. To help support its communication strategy, Bacardi partnered with the Cision Intelligence team. “We wanted a partner that would help us produce a comprehensive, flexible and in-depth reporting program to understand the impact of our communications activities,” Federman explained. To evaluate the campaign's press release performance, the team tracked: clip origin, press release syndication, asset presence, key messages, goals and initiatives and quotes from spokespeople. The quality, not just quantity of earned media coverage, is key for Bacardi. Cision tracked sentiment, prominence and top media and authors, as well as pickup on key messages, goals and initiatives as defined by Bacardi. Bacardi meets with the Cision team on a regular basis to discuss upcoming campaigns and adjust metrics accordingly. An executive summary is also created bi-monthly to ensure that the team has the most up-to-date information to help them make informed decisions. The most recent Bacardi Good Spirited insights report showed the most effective results to-date in terms of media coverage and awareness. For example, the report demonstrated that media coverage increased by more than 700% compared to the previous reporting period. Earned media coverage increased by exactly 300%, with more results coming from a variety of trade-specific publications that are highly relevant and resourceful to stakeholders (corporate social responsibility outlets such as 3BL Media). 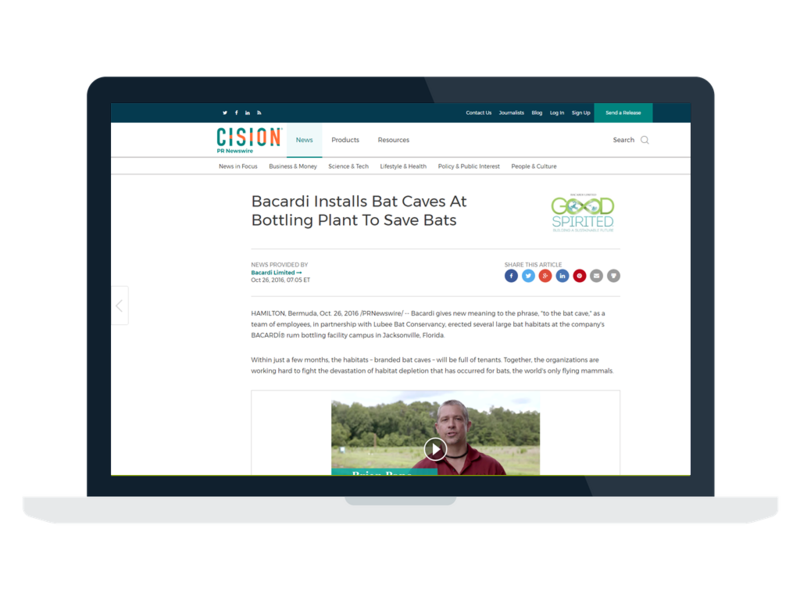 The press release : Bacardi Installs Bat Caves at Bottling Plant to Save Bats, distributed using Cision’s PR Newswire network on October 26, was picked up and redistributed by The Associated Press, increasing the coverage and awareness of the campaign. Bacardi saw a 30% year over year increase in web traffic. 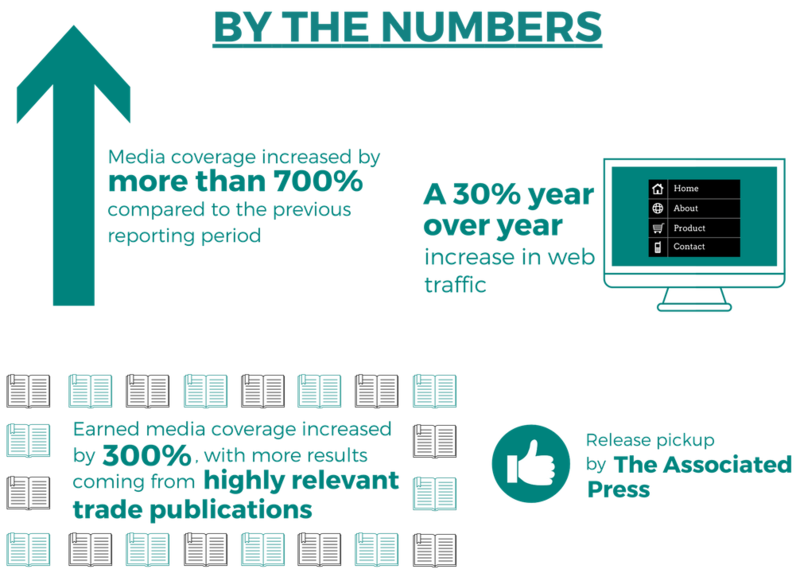 Bacardi uses the information gathered in the reports to then shape the next six to 12 months of the campaign. For example, Bacardi noticed that while their stakeholders expected standard CSR-related actions and commitments (reduction in GHG emissions, issue a CR Report, etc. ), the campaign received the most engagement on softer initiatives such as the bat caves, lemon soap and #NoStraws.